We all have a welcoming guide. They will walk with us and will always be at our side. 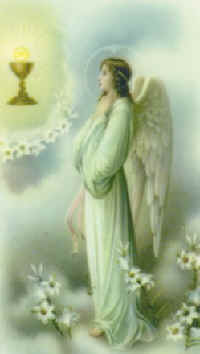 The Angel will assist our thinking and direction. All we have to do is open our hearts to a world so bright. Do not ever think you are alone. God's Kingdom is eternal and his Angels are known. Be still and listen to what God has to say. It may be life changing this very day. Stop for a moment talk to God and his appointed Light bearer.